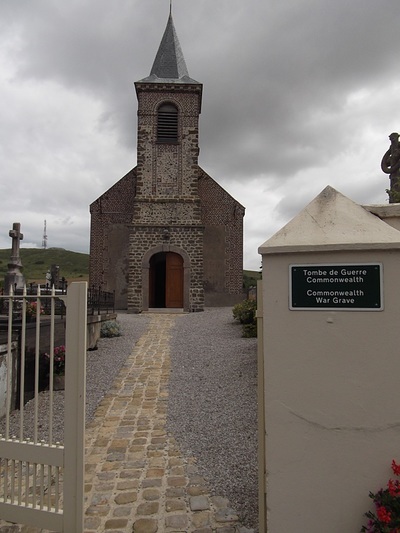 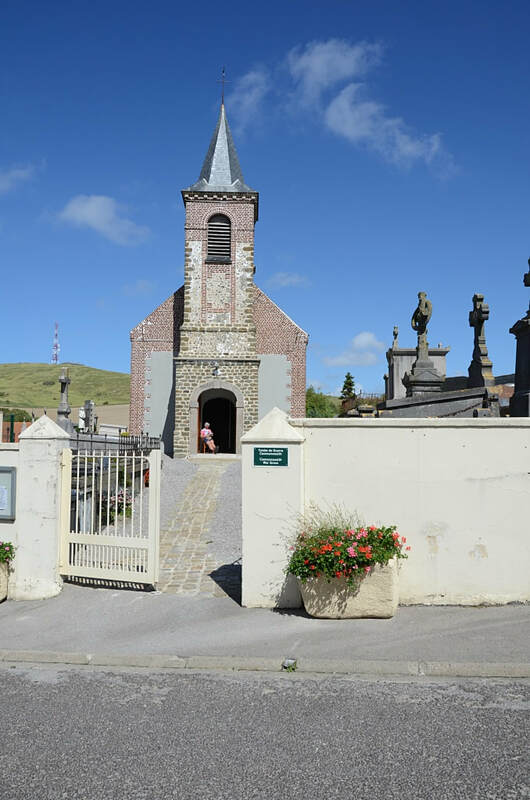 Escalles is a village and commune on the coast road (N.40) from Calais to Boulogne, 8 miles (14 kilometres) south-west of Calais, whence there is a bus service. The British grave is in the southern part of the churchyard, some 20 yards south of the main path. 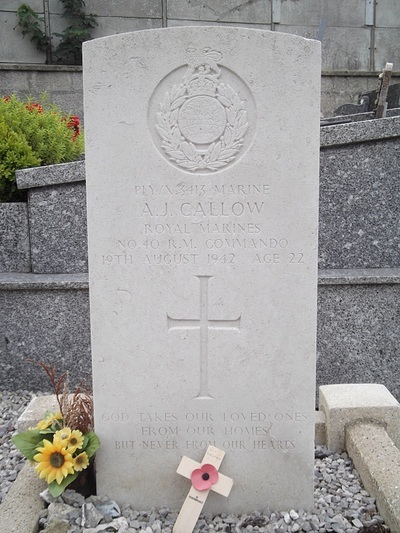 PLY/X3413 Marine Arthur John Callow, No. 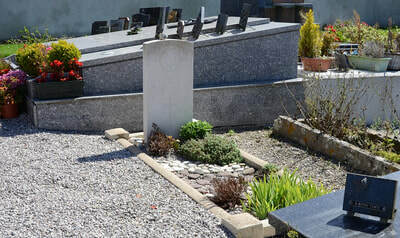 40 R.M. 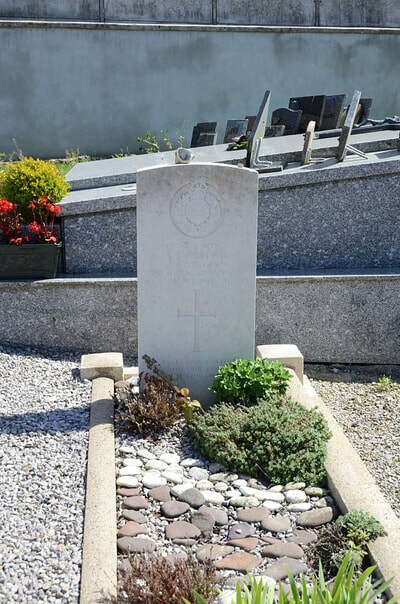 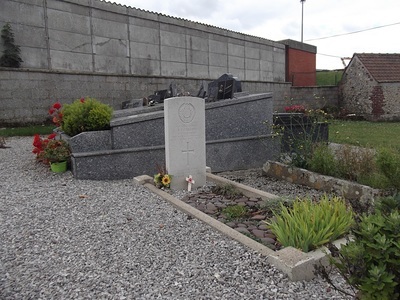 Commando, Royal Marines, died 19th August 1942, aged 22. 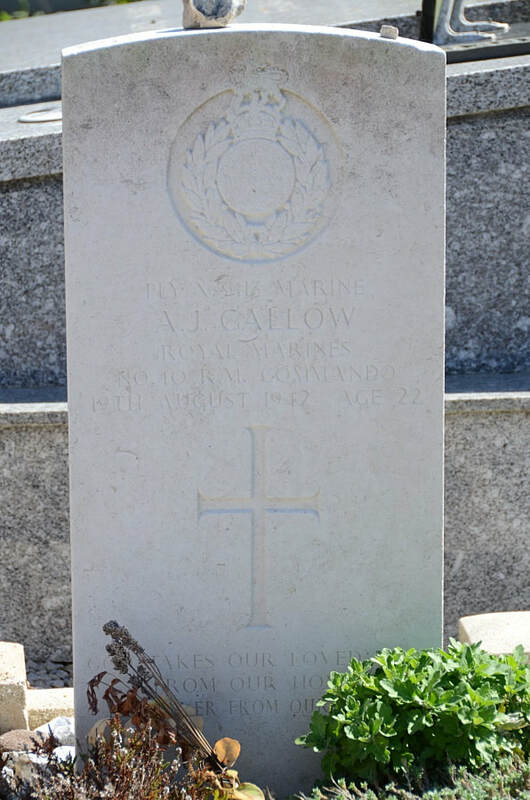 Son of Alfred John and Eliza Callow, of Palmers Green, Middlesex.